Hidden in plain sight A secret journal disguised as a classic work of literature. Keep all of your journal entries hidden, cleverly disguised so prying eyes will never find them. Works perfectly when placed on a bookshelf among other books. Continues to work even if you just leave it out on your desk. Prying eyes will never discover your secret stash of journal entries. 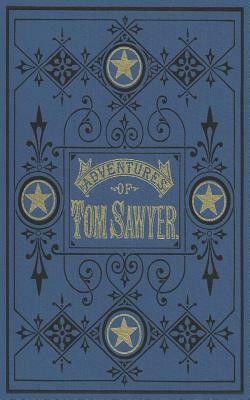 This book contains the entire text of "The Adventures of Tom Sawyer" by Mark Twain. The book was written in 1884, but it remains an enjoyable classic to read. The first edition cover and internal illustrations were painstakingly restored for use in this new paperback edition. In the middle of the book you will also find pages specifically designed to be used as a secret journal. - 3 different journal page styles are alternated throughout the journal section, allowing you to make a variety of journal entries: lined pages, graph paper, and blank paper. - Numbered journal pages let you reference your entries. - A decorative boarder dresses up your journal pages.